Earlier, we told you how to install the iOS 12 beta on your iOS device. However, you might have missed out on the information we provided about compatible devices (we know being in a state of excitement can overwhelm anyone). That’s why we’re here again to share with you a full compatibility list for iOS 12 beta. 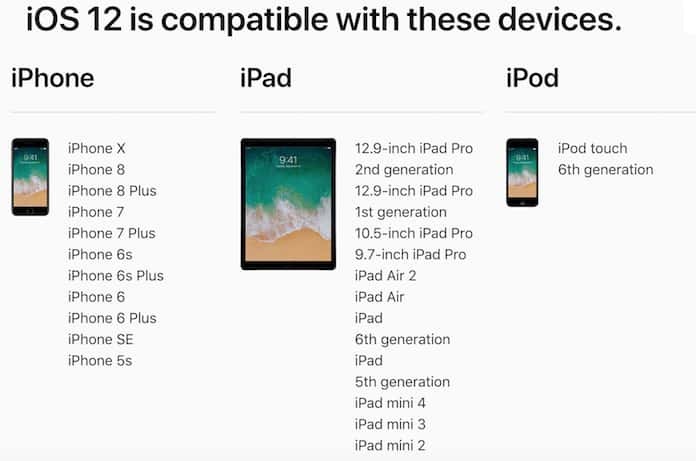 The list will help you identify whether your iPhone, iPad, or iPod Touch is actually capable of hosting and installing iOS 12 when it launches in the fall of 2018. A bit of recap: When Apple released iOS 11 a year ago, it caused a bit of a storm as the support for devices having a 32-bit architecture for suddenly abandoned without prior warning. While it isn’t hard to figure out that older iDevices will need to be removed from the equation when it comes to iOS firmware updates, a lot of iDevice owners were perplexed as they were still using a 4-inch model of iPhone 5c or iPhone 5.
iOS 12, on the other hand, doesn’t surprisingly kill off the compatibility of more iDevices, implying that Apple has ensured that several iPod Touches, iPads and iPhones can run its latest (perhaps greatest?) firmware update. iPhone: iPhone X, iPhone 8+, iPhone 8, iPhone 7+, iPhone 7, iPhone 6s+, iPhone 6s, iPhone 6+, iPhone 6, iPhone SE, iPhone 5s. iPad: iPad 9.7-inch 2018, iPad 9.7-inch 2017, iPad Pro 9.7-inch, iPad Pro 12.9-inch, iPad Pro 10.5-inch 2017, iPad Pro 12.9-inch 2017, iPad mini 4, iPad mini 3, iPad mini 2, iPad Air 2, iPad Air. iPod Touch: iPod Touch 6G. Of course, in addition to the devices mentioned on the list, it’s not hard to figure out that any hardware that Apple will introduce later in the year, such as new iPhone models, will be totally compatible with iOS 12, and should provide the best performance as the software and hardware should be a perfect match. If you own one of the devices mentioned in the list above or planning to buy brand new hardware from Apple later in the year, then it’s high time for you as an Apple enthusiast. 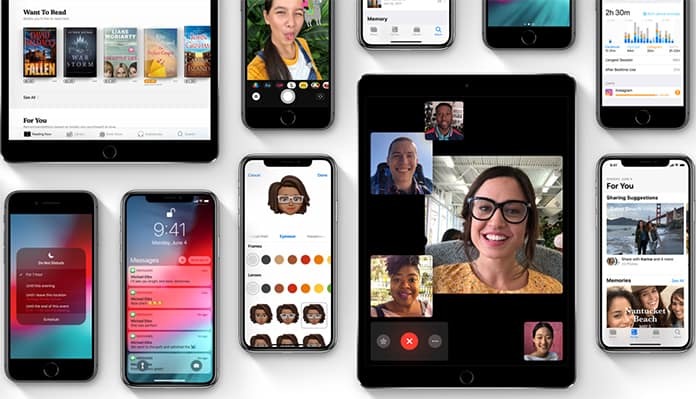 You will be getting instant access to iOS 12 and all of the things it entails as soon as it gets released to the public. Also, if you fancy it, you can get registered as the beta tester of the publicly released firmware as soon as registrations open for it on the Apple Beta Software Portal program. At this moment, iOS 12 beta is available only for members of the Apple Developer Program. Did your device make the compatible devices list? Let us know in comments below.